Piggly Wiggly’s “Truckload Meat Sale” is happening now. Shoppers are enjoying a unique experience for the next couple of days at locally-owned Piggly Wiggly stores. The “Truckload Meat Sale” offers consumers the opportunity to actually shop inside the tractor-trailer parked at each store, to get the freshest meats at the best prices of the year. “Shoppers really enjoy the opportunity to check out an enormous selection of fresh meats, while doing so inside the truck itself. We’ve provided these truckload meat sales in the past, and thousands of customers keep asking us when the next truckload sale is taking place,” said Ohio Valley Supermarkets President Brent Eastman. 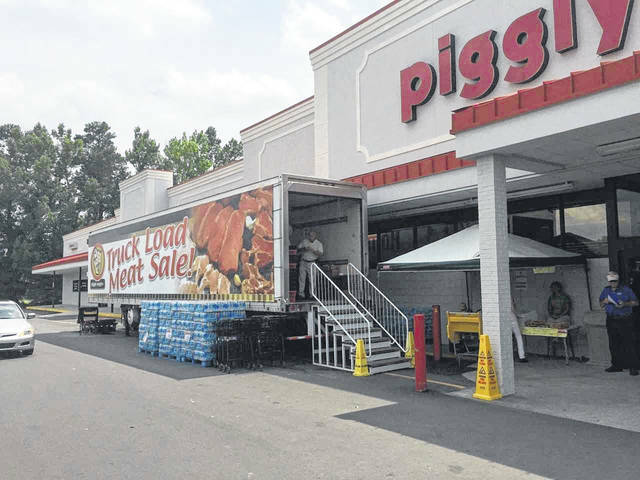 https://www.mydailytribune.com/wp-content/uploads/sites/42/2019/04/web1_4.4-Truck.jpgPiggly Wiggly’s “Truckload Meat Sale” is happening now.